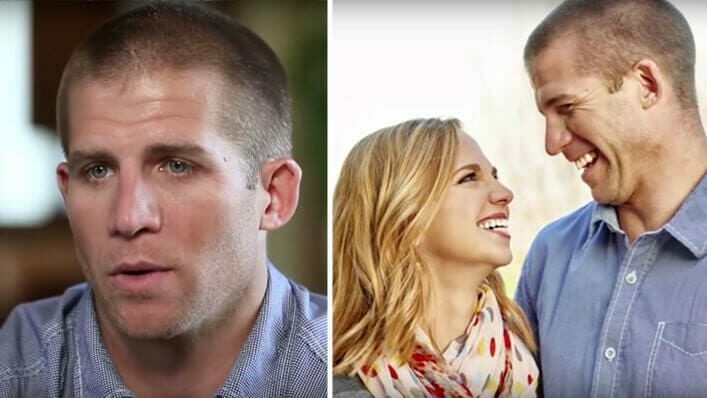 Before suiting up in his football gear for a match-up against the Dallas Cowboys last Sunday, Green Bay Packers star receiver, Jordy Nelson, suited up for a completely different event in Texas—one that arguably changed his life forever. A few days before his thrilling win over the Cowboys, Jordy and his wife, Emily, announced that they finalized the adoption of their third child, Adda Jo. The family had been fostering the baby girl from Texas for seven months. They first brought her home to Wisconsin in March, but Texas state law requires a child to live with their adoptive parents for a minimum of six months before the adoption can be finalized. That day finally came on Friday when Adda Jo was officially made a Nelson. The couple who grew up just three miles away from each other have always been strong believers in adoption. After the birth of their first son, Royal, the Nelsons learned they were unable to get pregnant again. “We figured adoption was a great way for us to grow our family,” Jordy said in a video for Jockey Being Family Foundation last year. They adopted their second son, Brooks, in February of 2015. 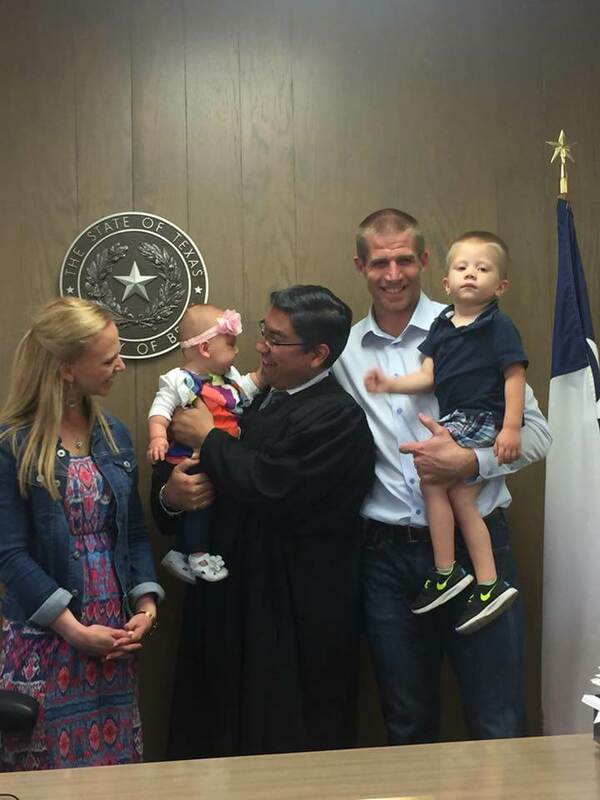 David Canales, the San Antonio judge presiding over Adda Jo’s adoption, shared a photo on Friday of the family of FIVE. The footballer says a lot of people may question adoption, but in his experience, it’s a great way to build a family. There are more than 400,000 children in the United States foster care system today. Each one hoping for a forever family. Jordy hopes others who hear his story will be encouraged to explore the possibility of adopting children.